I would absolutely bring protein with me to Thailand. In recent years it has been easier to find in Thailand but it is still 2x as expensive and you can't find high quality protein out there. Recently a bunch of studies came out, including some independent lab studies from a guy on reddit that used his work laboratory to do his own testing to determine that most protein companies out there use fillers and are filled with a bunch of other crap you don't want or need in your body. It's hard for a lot of people to get enough protein in Thailand. Training hard requires a lot of protein to keep muscle mass. It also helps you recover faster after hard workouts. Also a lot of people have long wait times after sessions before they meet up friends to eat. Drinking a protein shake straight after your workout helps wonders with recovery and keeping you happy until dinner. I would recommend you bring at least a 5lb tub for every 3 months you plan on being in Thailand. It is 74 servings, which you might think will only last you two months but you'll often skip servings like most people do. You can always bring more and give it away before you leave, making some new best friends at the camp. My favorites are the Vanilla and Chocolate versions, although this time I am trying the Natural Vanilla Whey since it doesn't have any artificial sweeteners. 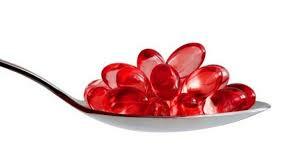 There are a lot of benefits of fish oil for MMA, Muay Thai and overall health. First it helps a lot with joint problems which are very easy to develop when training. Guys that do a lot of Brazilian Jiu-Jitsu swear that high doses of fish oil lubricate their joints and help with knee problems. The other benefit is balancing your Omega 3 to Omega 6 profile. All cooking oil in Thailand is high in Omega 6, including corn, canola, and other vegetable oils. If you don't eat a ton of avocados and fatty fish, which most people in Thailand don't, taking 2 soft gels of fish oil with every meal is a good idea. It'll help you lose weight, recover, and keep your mind focused and clear. I take 4 capsules a day, two with lunch and dinner. A lot of people that do BJJ take 6 a day and I know Joe Rogan takes even more and swears by it. I would recommend bringing a bottle of 120 per month that you plan on being in Thailand. I personally buy the 400 count bottles at Costco because it's cheap, but if you want something healthier that isn't contaminated with mercury then get some Krill Oil on Amazon, it's much better for you. Personally I've started using Upgraded MCT Oil which is concentrated coconut oil. I use it as part of Bulletproof Coffee that I drink every morning and have had some amazing results from it, I can think clearer, have more energy and have lost a lot of body fat from it. Plus it's cleaner than fish oil. The third one was a debate over creatine which helps you recover and keeps you from being sore and Caffeine pills. The benefit of creatine is that it helps your body retain more water, which has a host of benefits. 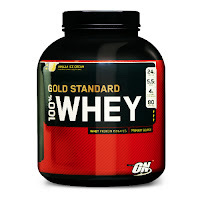 For your muscles it makes you preform better and recover faster, and for your brain it keeps you sharp. You can buy creatine on amazon and it is good to have because you won't be eating much red meat in Thailand as beef is rare. The reason why Caffeine pills end up winning is because it has been the best pre workout boost to date. Unlike other workout supplements such as NO-Xplode which pump you up too much to do Muay Thai and red bull which contains a bunch of crazy crap in it, a single caffeine pill is relatively clean and doesn't cause too many side effects. Take one everyday one hour before your training and it will prevent you from being lazy and wanting to take a nap. I also take one pill before going out on Saturday nights with the fighters when we go to a bar to unwind, that way I have energy and stay awake after a long week of training without having to down redbull vodkas all night. Best of all caffeine pills are cheap and since they are illegal to buy in Thailand, you have to bring them with you. For the last three months of training in Thailand, I totally ran out of supplements and decided to do an experiment. During my last fight camp I extended my trip to almost 9 months in Chiang Mai and ran out of protein, multivitamins, fish oil, creatine, zmas, everything. I thought about buying more at the nutrition store in Chiang Mai, but decided to do an experiment without it. 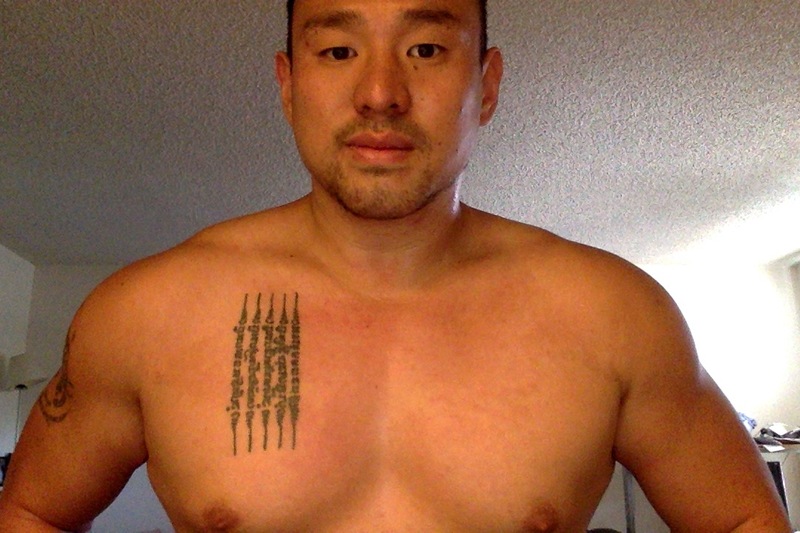 I was training 6 days a week and had started eating Bulletproof/Upgraded Paleo. 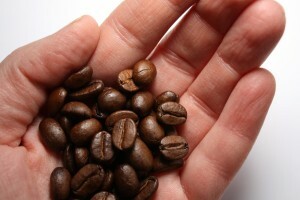 The only supplement I would take is one cup of coffee everyday. However, during that time I was sleeping 8-9 hours per night, exercising regularly and eating Anchor grass-fed butter, and coconut milk. I got into the best shape of my life, was lean, healthy and had tons of energy and it was 100% due to eating a clean diet, getting 20 minutes of sun per day, sleeping well and exercising. 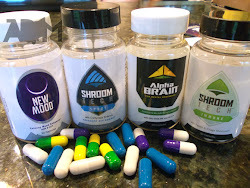 I realized that supplements are great as a supplement, but if you aren't getting the basics then trying to achieve that last 5% through pills doesn't do anything. Focus first on real food, diet, working out, sun and sleep first. This photo was taken after three months of no-supplements, compare it to the videos and photos from my fights between November 2012 and February 2013 when I had a pharmacy of stuff I brought with me. I'm leaving for Thailand again in a few weeks and just ordered a bunch of stuff off of Amazon while writing this post, but first and foremost I am going to continue to eat clean and do the basics. To answer the second question, Tiger Muay Thai in Phuket has the most girls training, but mainly due to their BodyFit class which is similar to CrossFit. 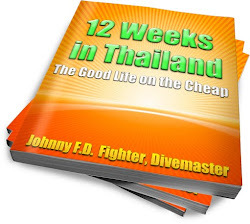 If you read my book "12 Weeks in Thailand" I explain why Phuket might be the worst place in Thailand to meet normal girls though and why other islands are much better for dating and hooking up. Hey Johnny I have a quick question. When it comes to AC vs fan rooms can u tell me how it affects training? Not worried about price but does sleeping in a fan room help conditioning or help with adapting to the climate? I ask because Im a bit of an AC junky and have trouble sleeping in heat/sweat but Im thinking I would possibly get used to it and that being in AC half the day/night then out in the hot weather training would be bad for the body as well as conditioning. Hey Jwoot, I would get an A/C room but try to leave it on low. It's easy to get sick from the A/C being on too high and you won't adapt to the climate with it on all of the time. The perfect rooms are the ones with A/C but also screened windows and a fan. Good luck with your trip and have fun! I was wondering if it is not illegal to bring all these supplements into Thailand? Hey I'm pretty sure it's fine, and have never heard of anyone having any problems with it since it's just for personal use anyways.